Spray-Lock, Inc. produces a revolutionary line of Premium Eco Spray Adhesives, using the world’s most advanced and earth-friendly adhesive technology for floor and wall applications. Our products positively impact the environment and perform better than most trowel adhesives, saving the industry time and money. GE Silicones is the industry leader in sealants and coatings that extend life and add performance to buildings of all types. Like our products, we’re hardworking and long-lasting— we’ve been serving the construction industry for more than 50 years. concrete, masonry, brick, and stone substrates. TEC from H.B. Fuller Construction Products o!ers tile adhesives for those who imagine great spaces and those who build them through commercial and residential tile installation. With installation and maintenance systems designed with the customer and durability in mind, TEC turns visions into reality with tile adhesives and other flooring products for stone, carpet, vinyl and wood. 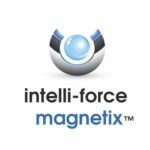 Intelli-Force Magnetix flooring was developed to save time during every stage of the floor’s life. In fact, on the second installation the system can reduce your flooring installation time by up to 80% if moisture mitigation is called for and renovatons could be completed even quicker. Aggretex Systems offers a cutting edge portfolio of concrete products –giving you the ultimate in design flexibility, control, and performance in exposed aggregate floors. Whether being placed as a fresh pour using our patented wet on wet system, or placed as a self-leveling polishable topping, Aggretex Systems offer the right product for the right applications.